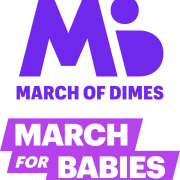 We are looking for volunteers to help us on Friday, April 26, 2019 to set up for Orlando March for Babies to be held on Saturday, April 27th. Over 3,500 participants are expected to walk with us on Saturday. What ever time you can donated is a huge help-from an hour or 4 hours, all help is appreicated. Your support setting up is invaluable to the success of our event! Must be comfortable walking, lifting and doing a lot of moving around.